Adding a patio to your backyard can provide a welcoming space to relax or entertain. However, you need to ensure the patio you build fits your budget. Materials, size and whether you choose a contractor or build yourself can affect the final cost of your patio. Learning all the possible factors before you start to plan will help you pick the right patio for your situation. 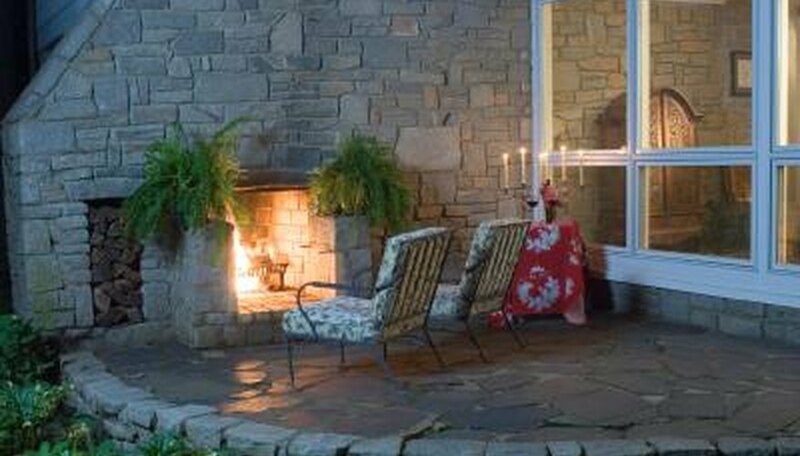 A contractor-installed brick patio can cost $11.50 per square foot or more in February 2011, due to the labor involved. Kudzu estimates the most costly professionally-installed brick patios at between $2,500 and $5,000. However, brick patios are among the simplest patios to install yourself. You just need to be willing to put in the time. According to Ask the Builder, a 15 x 20 foot brick or concrete paver patio can require between 100 and 150 man-hours to build. As of 2008, building a patio from 1 1/2 inch paving brick costs around $2.80 per square foot, or a little more than $300 for a 10 x 12 patio. As of 2011 and according to Concrete Network, a simple poured concrete patio with one decorative technique or color can cost as little as $6 per square foot, or about $720 after installation for a 10 x 12 foot patio. Adding more colors or a contrasting border can increase costs to $10 to $15 per square foot, or between $1,200 and $1,800. 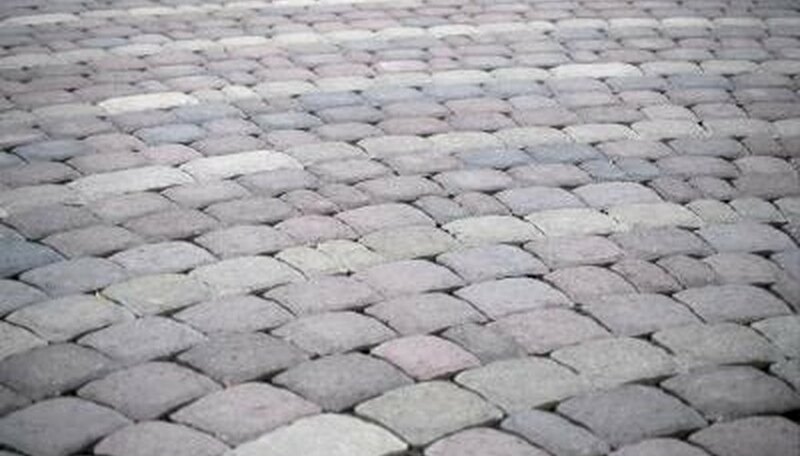 Saw cutting, borders and hand-applied coloring techniques can also increase the cost of your concrete patio. Pouring a simple patio yourself can cut costs. According to Concrete Network, concrete for a 10 x 12 foot concrete patio 4 inches thick would cost around $110. Bluestone or flagstone patios are among the most attractive and durable options. They're also some of the most expensive patio materials available. According to CostHelper, you can expect to pay between $15 and $18 per square foot for a contractor-installed flagstone patio, or between $1,500 and 2,160 for a 10 x 12 installation. According to Kudzu, some fancy flagstone patios can cost as much as $25 per square foot. Extra features such as outdoor heaters can increase the cost of your patio. According to CostHelper, extras can run anywhere from $200 to $5,000. Shelter brings prices up, too. 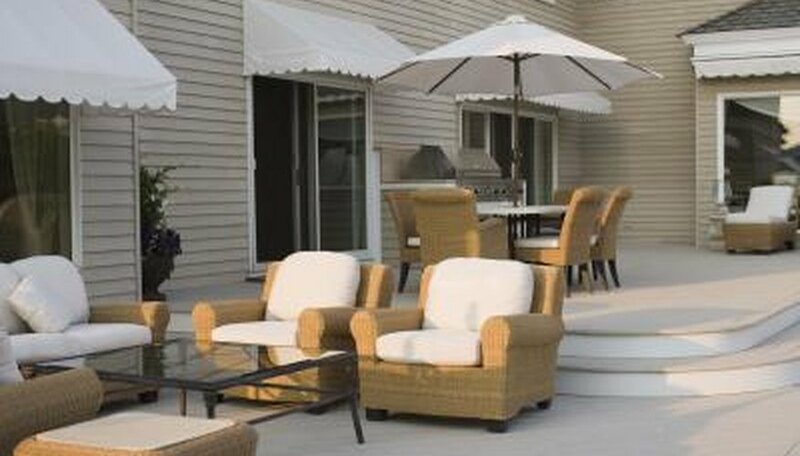 Adding an outdoor umbrella costs only about $50, but an awning can run between $300 and $2,000. Wooden patio covers can cost anywhere between $500 and $10,000, and aluminum roofs tend to cost between $6,000 and $8,000. Kudzu: How Much Does It cost to Build a Patio? 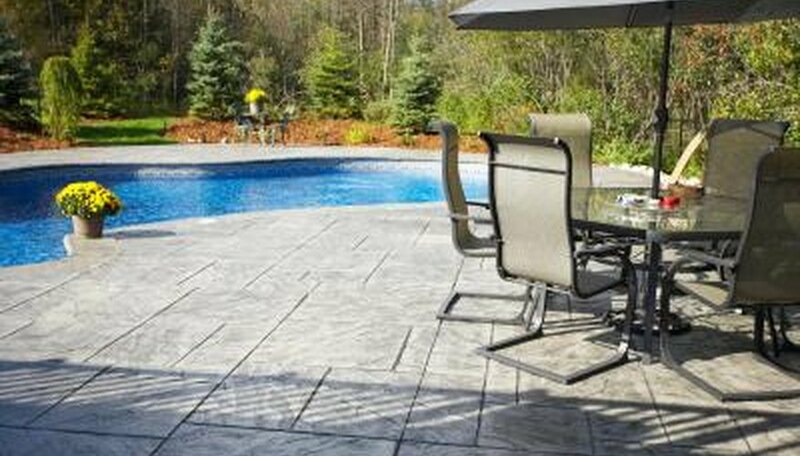 CostHelper: How Much Does a Patio Cost? What Is Basalt Used for? How Much Landscape Rock Do I Need? What Rock Is Cobblestone Made From?